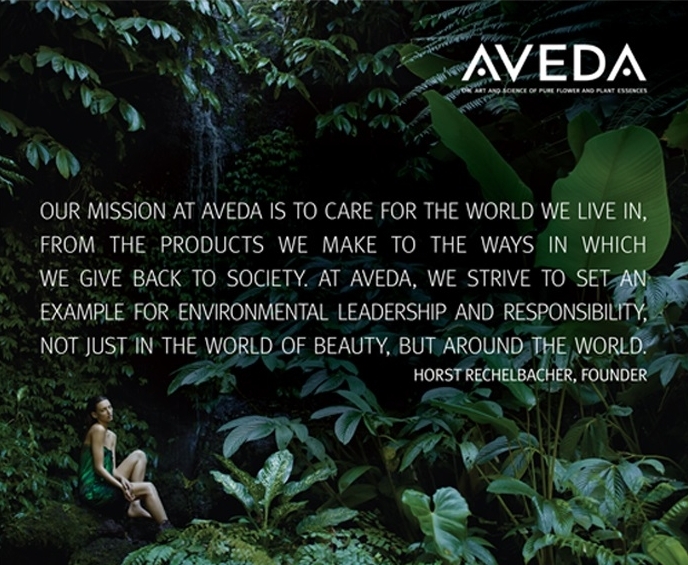 Aveda Salons and Spas are founded on the common mission of caring for you and caring for our world around us. Our salon/spa teams are trained to serve your every need and expertly care for you. During your time with us, you’ll enjoy Aveda Rituals that will relax and transport you, such as: a cup of Aveda Comforting Tea℠; a warm, aromatic towel; a sensory journey with Elemental Nature℠ aromas to enliven the senses; a stress-relieving scalp, neck and shoulders massage; a luxurious hand massage; makeup finishing touch or a Pure-Fume application to remind you of your salon/spa experience!